Svydivets [Svydivec’] (also Svydovets). 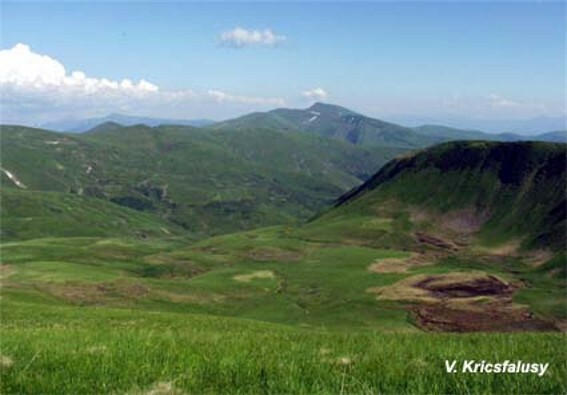 The largest mountain group in the Polonynian Beskyd of the Carpathian Mountains, situated between the Teresva River and the Chorna Tysa River in Transcarpathia oblast. 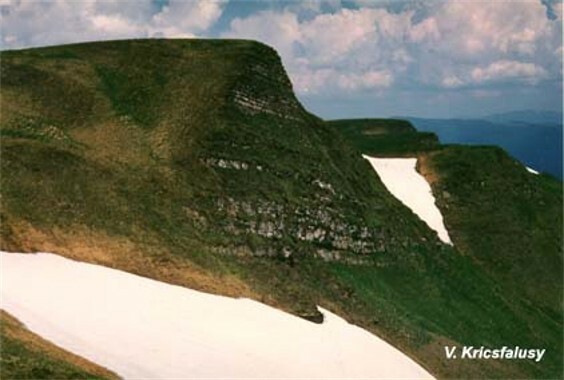 The main portion of the ridge has elevations ranging from 1,400 to 1,880 m (Mount Blyznytsia). A short spur juts from its northern end, and a longer one along its southern edge. 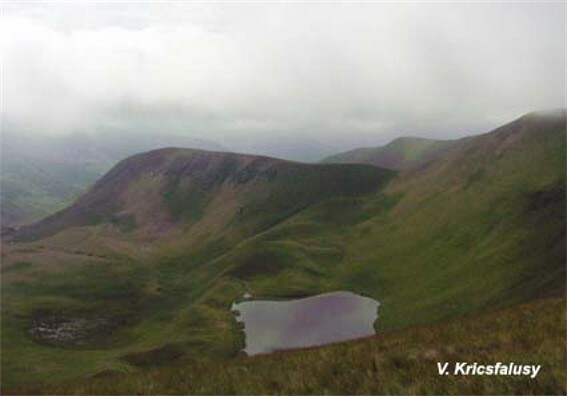 Deep, narrow valleys cut sharply into the wide, smooth mountains. 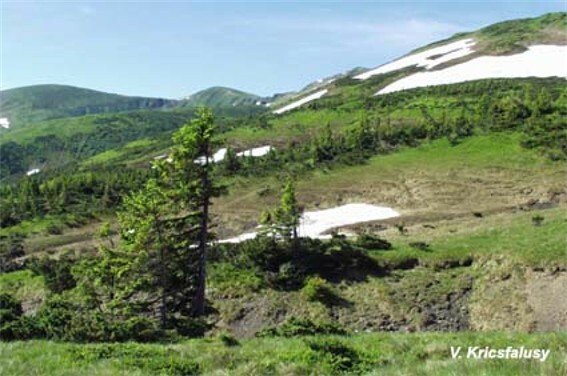 Postglacial cirques, some of them now filled with lakes, can be found along the ridge's northern slopes. 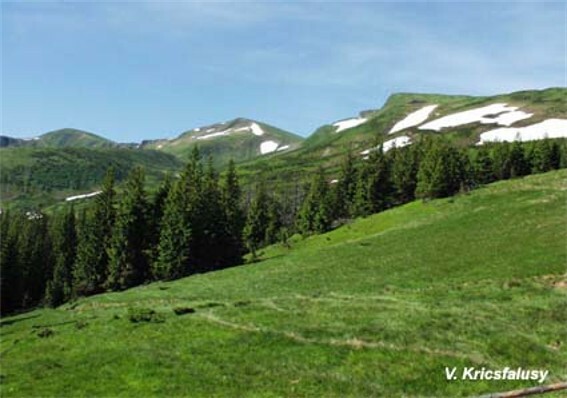 Fir forests up to an elevation of 1,400 m are also located there. 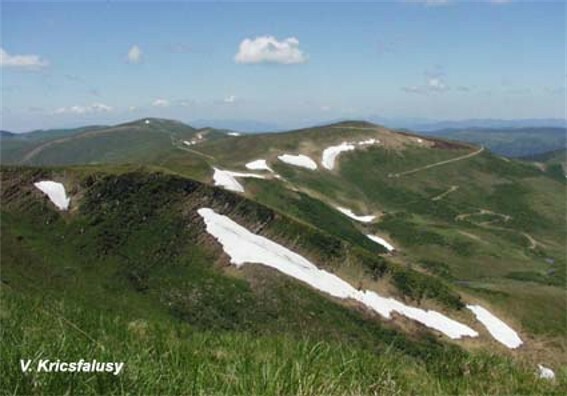 The southern slopes of the formation are covered with beech forests up to an elevation of 1,300 m. In the higher reaches of the mountains pastures can be found as well as the seasonal dwellings of shepherds. 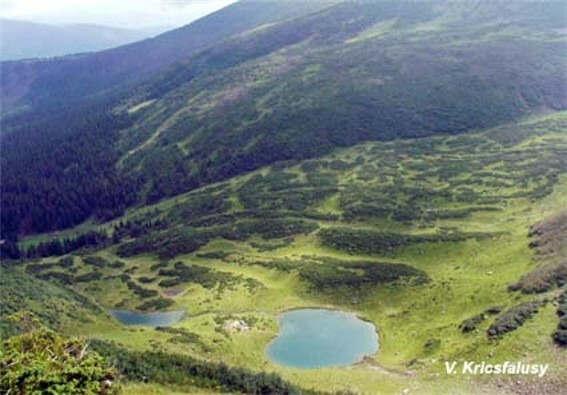 Permanent settlement in the region is found in the river valleys, most notably at Rakhiv and Ust-Chorna.